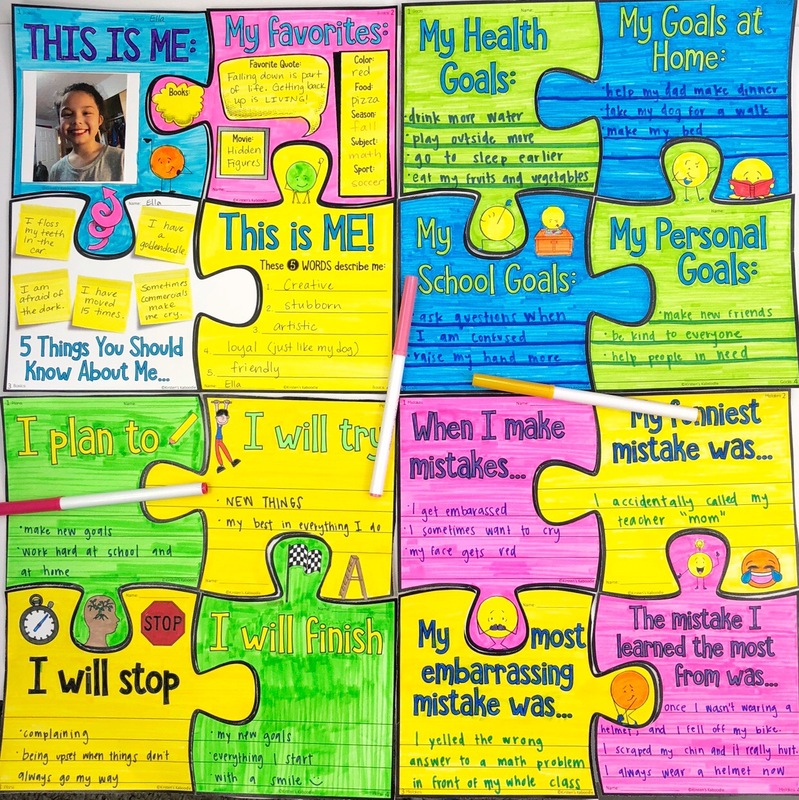 This puzzle bulletin board is perfect for any time of year, but is particularly timely for New Years, back-to-school, or an All About Me unit. 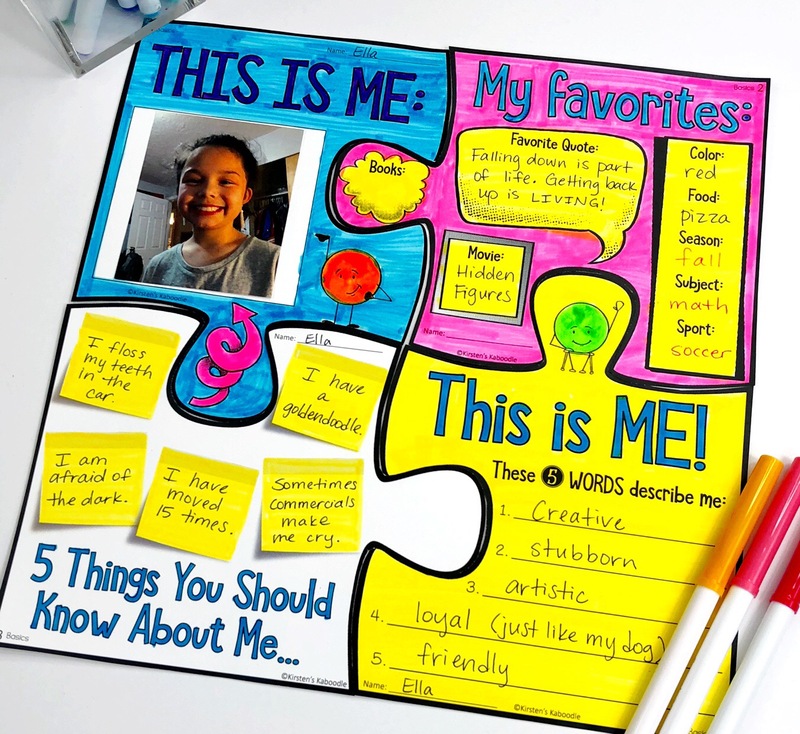 It can be used for any grade level. This file includes 6 different puzzles (4 pieces each). You will find 24 unique puzzle pieces. 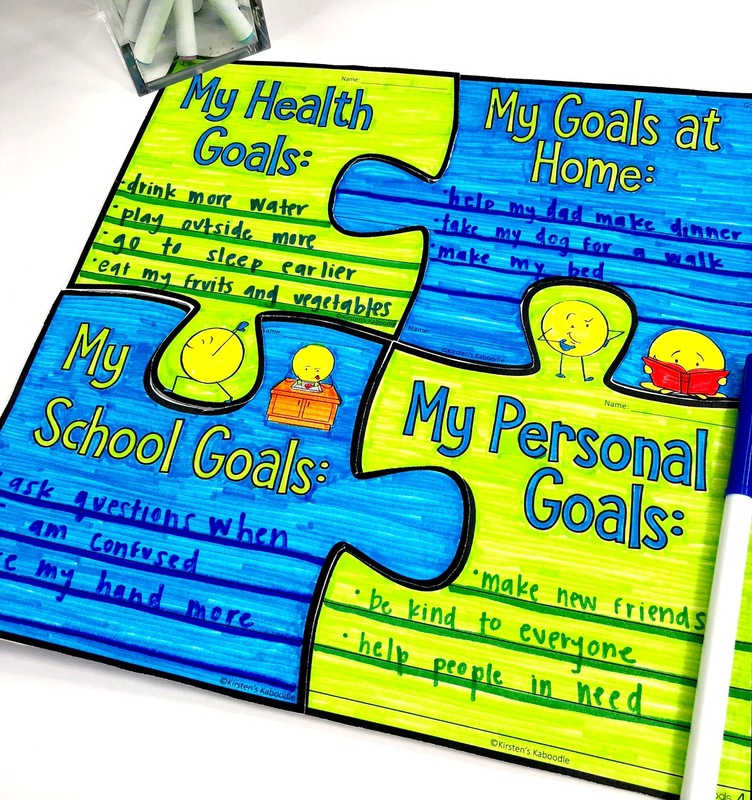 There are a number of ways that you can use and display this puzzle bulletin board. 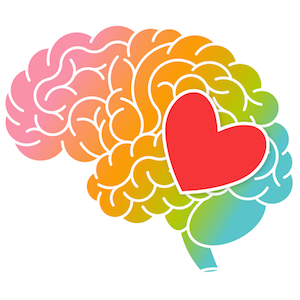 Over the course of the school year, students can do all 24 pieces each or you can pick and choose which puzzles you’d like your students to complete. 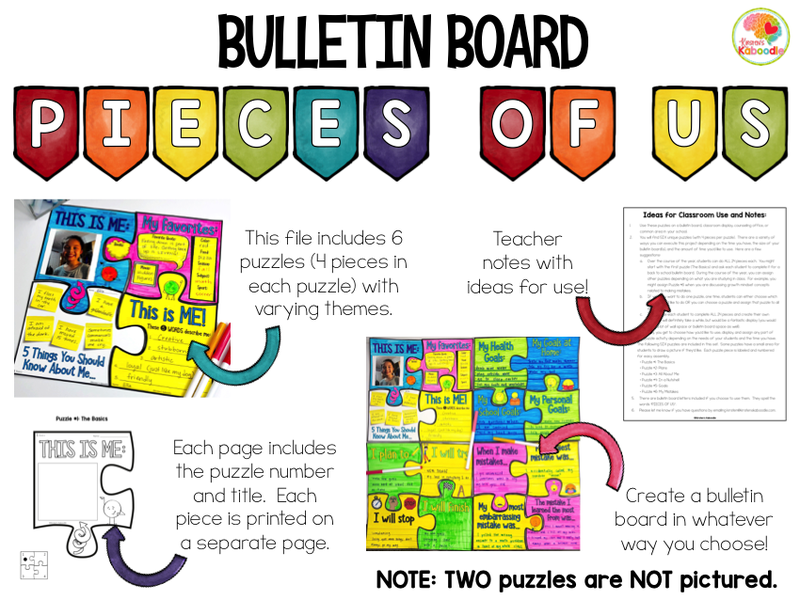 Design the bulletin board with one puzzle per student OR ask students to create their own puzzle using the pieces they choose! The following SIX puzzles are included in this set. 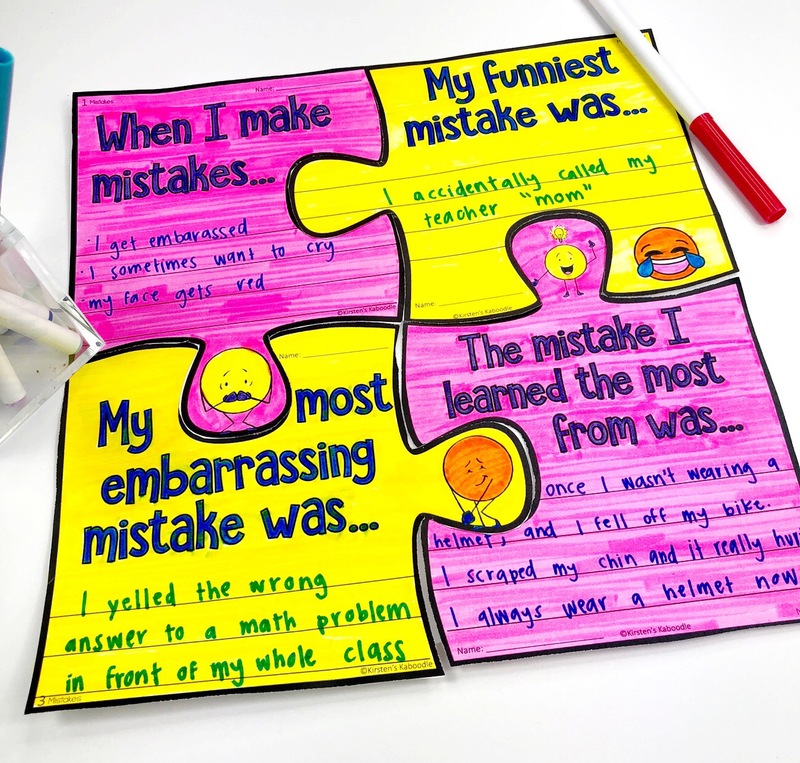 Some puzzles have a small area for students to draw a picture if they’d like. Each puzzle piece is labeled and numbered for easy assembly. This file contains bulletin board letters that spell “PIECES OF US“. 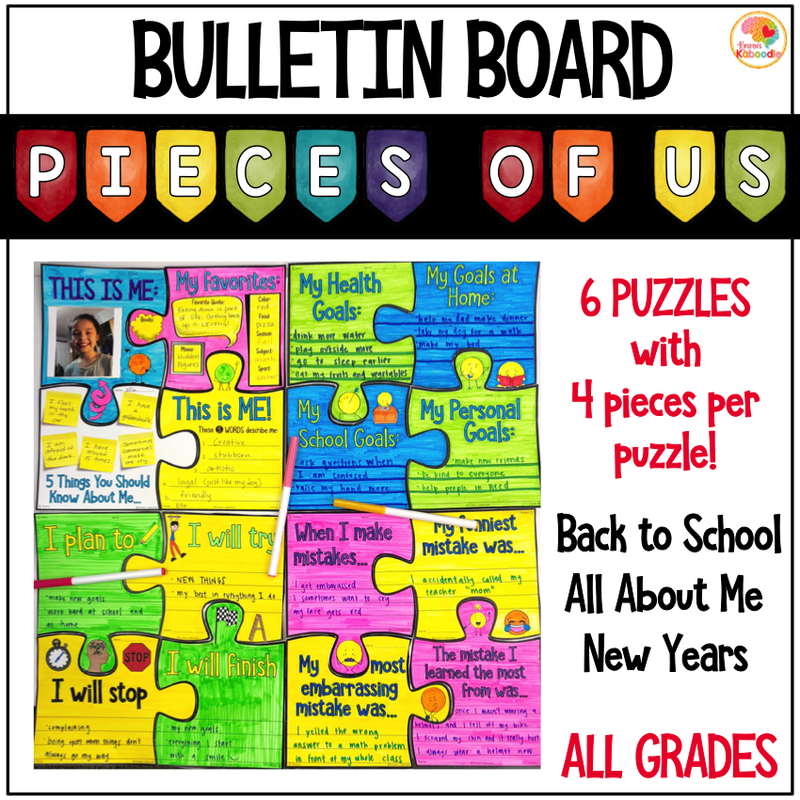 Thank you for taking the time to check out this puzzle bulletin board set. Please direct questions to me PRIOR to purchasing this product. This file contains 32 pages.